The post New Flash Player zero-day comes inside Office document appeared first on Malwarebytes Labs. CVE-2018-4878 – Adobe Flash Player use after free (Zero Day) vulnerability Alert! The recent zero-day vulnerability CVE-2018-4878 in Adobe Flash Player enables attackers to perform a Remote Code Execution on targeted machines. Adobe has released a security advisory APSA18-01 on February 2, 2018 to address this issue. According to Adobe the in wild attack is targeted and it impacts limited windows users…. Adobe warned on Thursday that attackers are exploiting a previously unknown security hole in its Flash Player software to break into Microsoft Windows computers. Adobe said it plans to issue a fix for the flaw in the next few days, but now might be a good time to check your exposure to this still-ubiquitous program and harden your defenses. 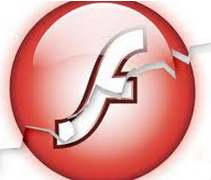 Adobe said a critical vulnerability (CVE-2018-4878) exists in Adobe Flash Player 28.0.0.137 and earlier versions. Successful exploitation could potentially allow an attacker to take control of the affected system.